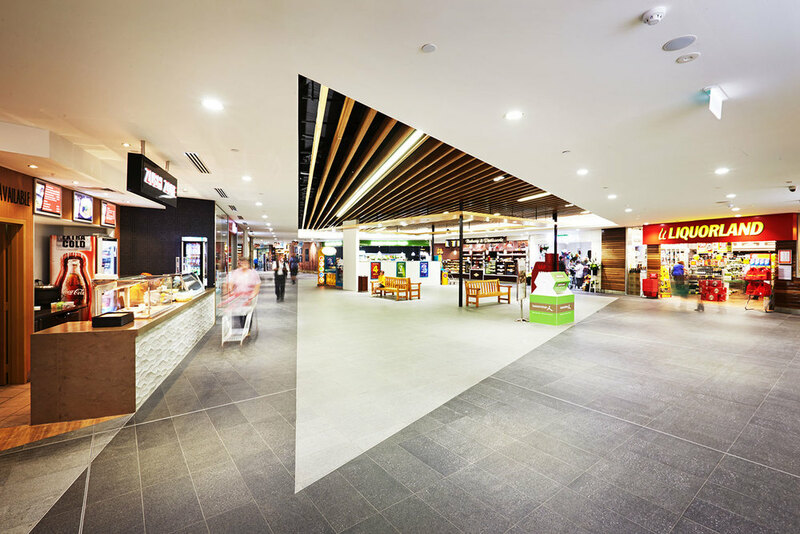 Initially 7,688sqm, the shopping centre was expanded to approximately 9,845sqm by increasing the floor size of the existing Coles Supermarket by approximately 1,000sqm, introducing The Reject Shop, Liquorland and Dome Cafe as well as other new tenancies. Other works encompassed installing a new travelator, adding a children’s playground, undertaking major fire safety improvements and upgrading the existing car parks. A major challenge that posed continual difficulties was the requirement to complete the redevelopment within a ‘live’ shopping centre environment. The primary consideration in successfully overcoming this obstacle was public safety – work could only take place overnight in operational shopping areas, with the PACT team working duel day and night shifts to address the challenge. Educational sessions were also held with subcontractors to ensure they respected the public nature of the worksite, from carefully planning lead placements to avoiding the use of bad language. Local residents surrounding the centre were also considered, which diminished the window of opportunity for loud construction work such as drilling and concrete pours. The relentless nature of retail operations meant new tenants were moving in as the centre expanded. As such, the redevelopment project had rolling completion dates. This staged project completion required precision project management to meet continual deadlines and handovers.